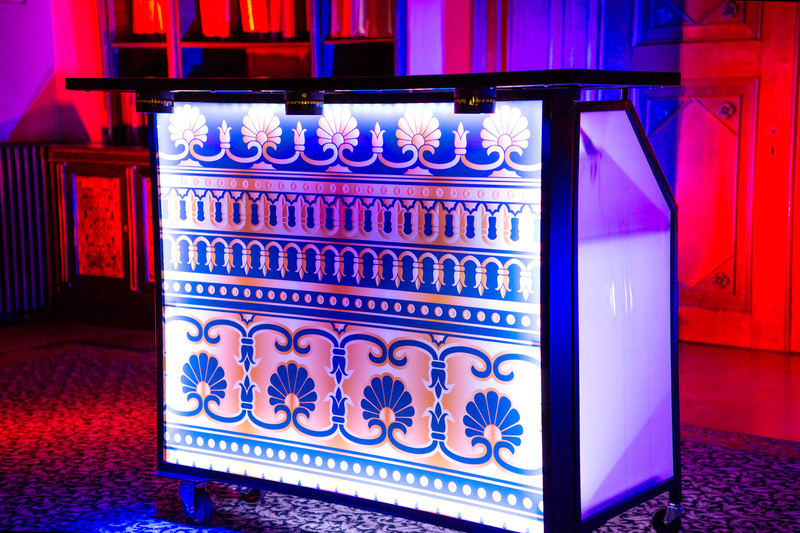 Our stunning LED Bars are ideal for any event or party. 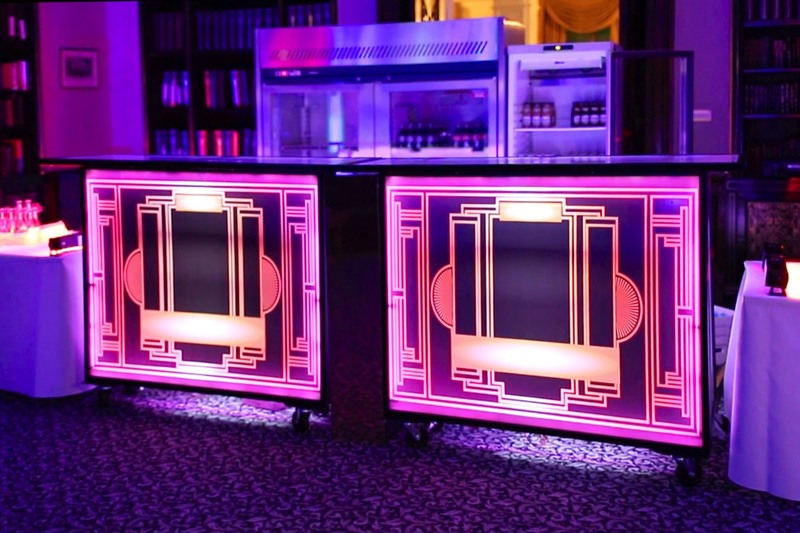 These are available to hire in a variety of colours or themed to your requirements or with mirrored fronts. We also have a 40 foot round bar available to hire. Other potential uses include Information Counters, Food Counters, Salad Bar, Exhibition Stands etc. Available from 1.5 metres up to over 6 metres they can used in any space or venue, large or small. 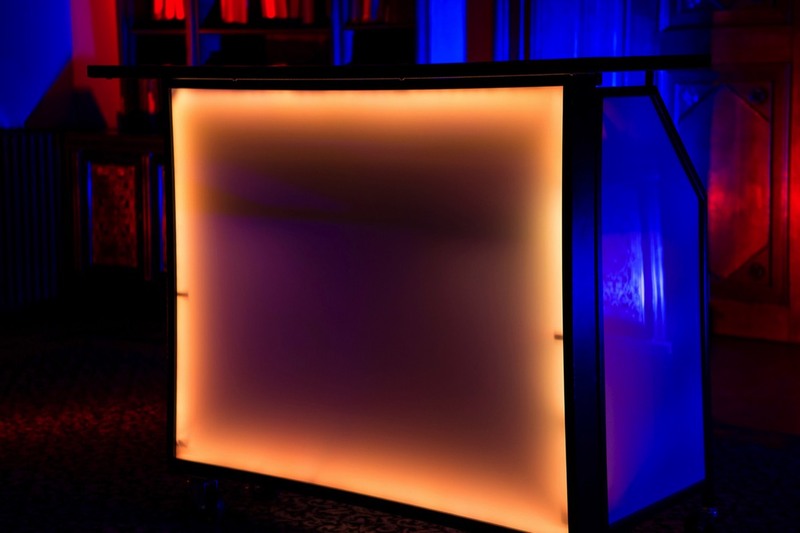 Supplied complete with 2 washable cutting boards, 2 ice bins, shelving, speed well and built in multi-colour programmable LED lighting with remote control. Each 1.5 metre bar will hold 150lbs of products and the speedwell takes 18 large bottles. Extremely portable being battery powered (it can also be mains powered) even when fully stocked. And when your event is over it can be folded up (in less than a minute) to save space. 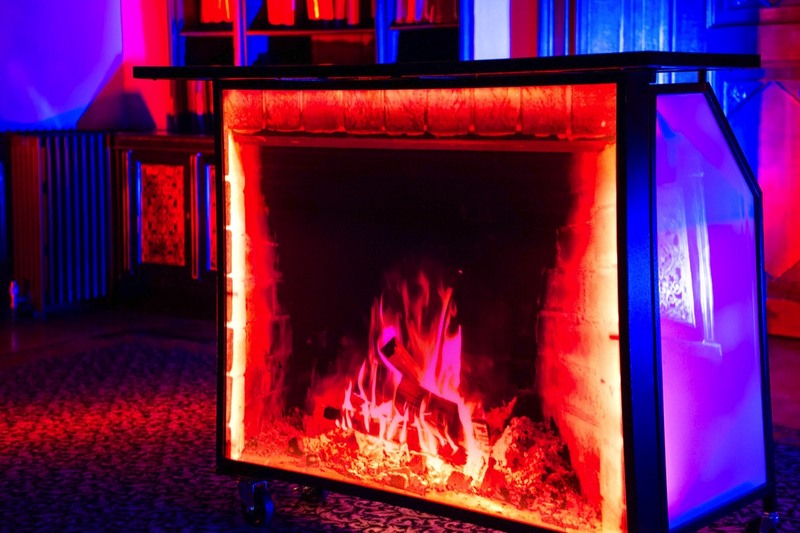 PERFECT FOR WEDDINGS, PARTIES, CORPORATE EVENTS, PRODUCT LAUNCHES ETC.